So what’s my story, and how did I end up here?! I’m Melissa, and I am the founder of Winning Career from Home. I worked in HR for 20 years with a background in psychology, and postgraduate degrees in commerce and in management. 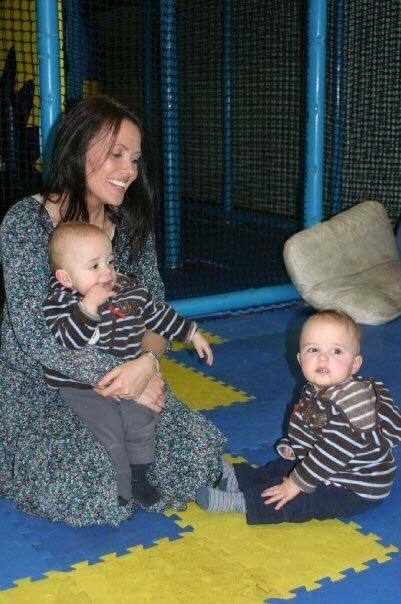 I had always really enjoyed working in HR, but as I got older and had children (twins! ), the balance between my work and my life was not right. I knew I needed a change, but I didn’t know how. I was sick of missing out on being with my kids because I had to work. I was sick of being exhausted after a big day at work, then having to start the ‘second shift’ at home – getting dinner ready, homework, getting the kids showered and into bed. Then checking work emails again, laundry, and tidying up so I didn’t wake up to a mess the next morning. I was missing precious moments with my kids. But I was also just tired of being in the cycle of a 9-5 job (and let’s face it, it’s never just 9-5). I took a small risk. I learnt something completely new and went out of my comfort zone. I started small and worked at night and on the weekends. I used every spare minute I could to learn and grow my business. No timelines other than the ones that I create for myself. My office is wherever I choose it to be. Most of the time it’s in my lounge room, but sometimes it’s in a café, or a library, or at a park. Sometimes it’s at the skate park or trampoline park while the kids are getting exercise. I still work really hard, there’s no doubt about that. But I work on my terms. When I want, where I want, doing what I want. My only regret is that I didn’t change my life sooner, when my kids were babies. I am thankful that I have found it now, and for that I am grateful. I want to help people because I know there is a better way for people who are in the position that I was. can change their situation, more easily than you think. It will take dedication, but you can do it. The goal of my site is to provide you with a way to improve your life. To give you the career that you deserve, on YOUR terms. Having an online career from home allows you to work from home or anywhere in the world. You can make money online, anywhere! You’ll need a laptop and WiFi, and some motivation. Read about the platform that changed everything for me here. If I can do it, you can too! Anybody, regardless of skills and experience, can build an online career from home.